In our home we have a plethora of food allergies to work through and one of them is eggs. 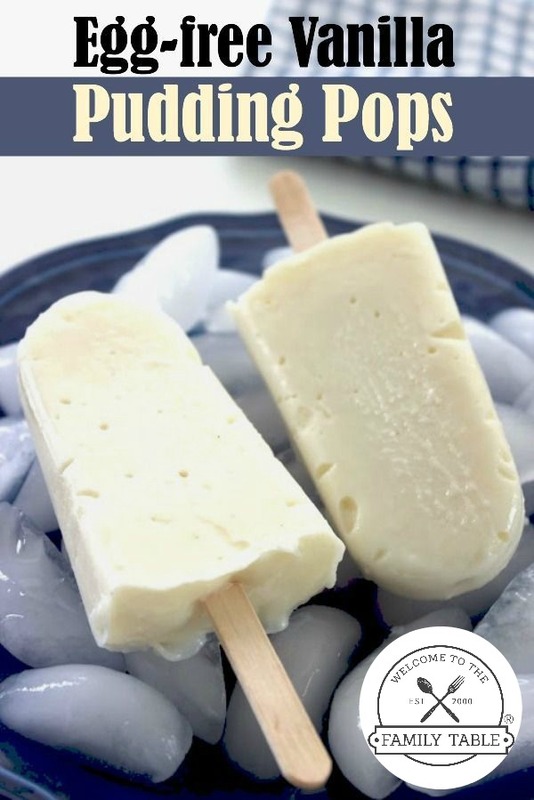 This recipe for homemade egg-free vanilla pudding pops is a great way to enjoy a cool and creamy treat without eggs. My youngest son loves these and I am so glad that we can prepare them for him on all these warm California summer days. These egg-free vanilla pudding pops are great for a treat any day of the year! Combine cornstarch, sugar and salt in a bowl and whisk together. Heat milk over medium heat just until bubbles start to form. Slowly add dry ingredients into hot milk, constantly stirring to dissolve. Cook, stir continuously, until pudding thickens. Pour into popsicle molds and insert sticks. These delicious egg-free vanilla pudding pops are the perfect treat on a summer day or dessert any day of the year!